Few sensations are as frightening as not being able to get enough air. Although shortness of breath, known medically as dyspnea — is likely to be experienced differently by different people, it’s often described as an intense tightening in the chest or feeling of suffocation. 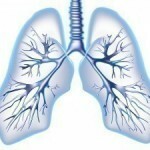 You may experience shortness of breath just once or have recurring episodes. People who talk for long periods of time while teaching, reading aloud, working on the telephone, lecturing or addressing the public can sometimes find themselves becoming short of breath. Some individuals experience similar symptoms when they sing. This is especially true for people who breathe too fast through the mouth. Anxiety may be a contributing factor for other people, particularly for those who speak before large groups. While nervousness may not actually cause shortness of breath, it can make people talk faster. As a result, an individual may find himself breathing faster and deeper. Allergic reactions can be responsible for causing shortness of breath when talking. 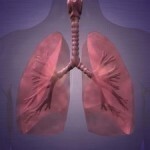 As the bronchial tubes narrow, a person is unable to get enough air into the lungs. Adults not diagnosed with asthma until later in life often think they are simply out of shape. But if there is a family history of asthma and/or allergies, it is a good idea to get checked even as an adult. Frequently, parents of asthmatic children do not consider that they might have asthma themselves. Sounding out of breath to others when talking on the telephone could be a warning sign. Shortness of breath is a possible symptom of heart disease even when a person has no chest pain. Researchers point out that even though many people tend not to think of shortness of breath as an indicator that something may be seriously wrong, it sometimes is the only symptom present in people who have other risk factors for coronary artery disease. When individuals do worry that shortness of breath may be the sign of a health problem, they tend to associate the symptom with lung disease rather than heart disease. Hyperventilation, a condition characterized by abnormally rapid and shallow breaths, often occurs along with an anxiety or panic attack. The oxygen level in the blood rises, causing other symptoms such as chest pain and dizziness. It is not uncommon for individuals to have a fear of speaking in public. When people are nervous they tend to breathe with the chest rather than by pulling in the abdomen and exhaling through the nose. Acid reflux can also cause shortness of breath. In this case, pressure in the chest or digestive juices backing up into the throat can cause shortness of breath severe enough to make a person hyperventilate.